You can comment on any email, task or note in Karbon to bring team members into a discussion. 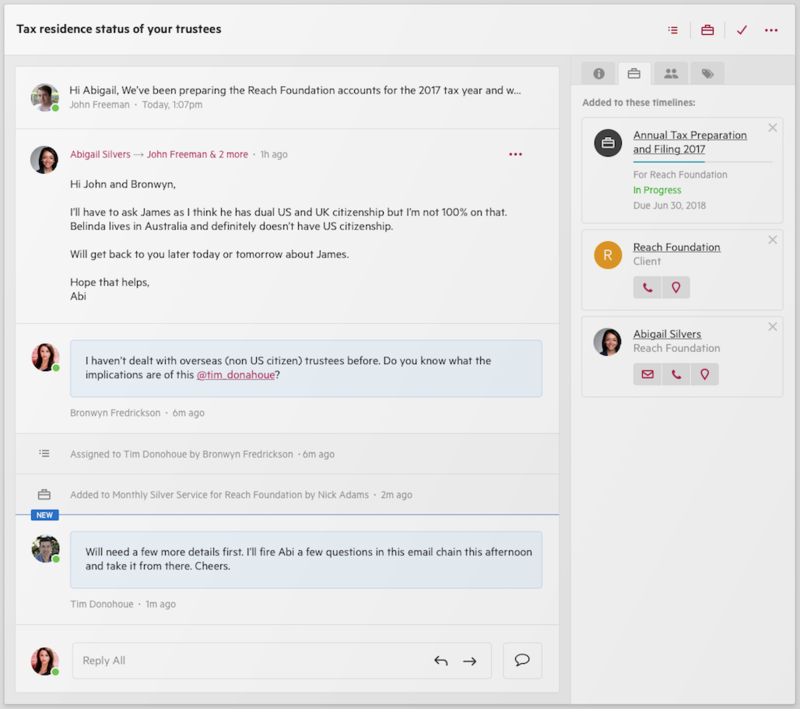 Comments in Karbon can be used to bring team members into a conversation, carry out discussions where they makes sense, and collaborate. You have the ability to add a comment against any email, note or task. Comments are clearly indicated in blue, making it easy to distinguish between internal communication, and anything that may be sent to a client—such as a regular email. Using @mentions, can notify chosen team members to bring them into the conversation.